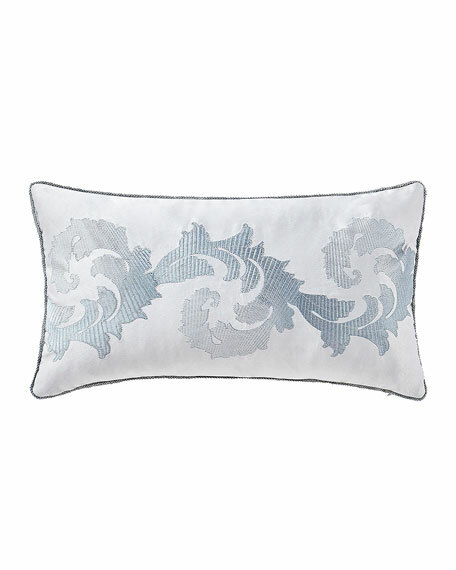 Waterford Farrah Breakfast Decorative Pillow, 11" x 20"
WaterfordFarrah Breakfast Decorative Pillow, 11" x 20"
Ombre aqua embroidery creates a lush leafy scroll pattern on this lustrous ivory oblong pillow. 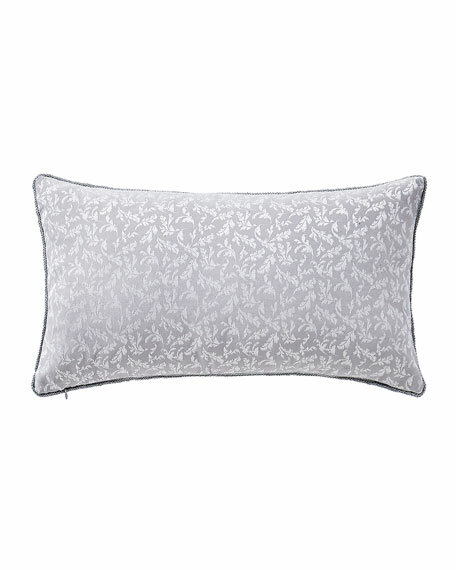 Reverses to a small scale leaf jacquard in grey and ivory. Decorative pillow with oversized scroll pattern.